Brrrr... it' cold out! Make sure your pet is warm! Although many dogs don't like to be dressed up in winter clothing, pet owners have reported that if you start the process of using dog sweaters or coats when young, dogs will grow accustomed to it. Dog's don't necessarily need warm coats, but if you live where the winters are freezing, you may want to consider extra warmth for your dog. Get the Latest Pet Product Information before you buy! GregRobert Discount Pet Supplies carries thousands of dog supplies, bird supplies, fish / aquarium supplies and cat supplies. 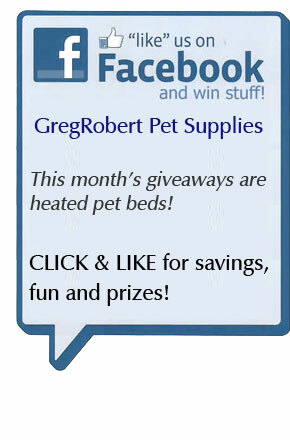 Here are a few good reasons to shop at GregRobert Pet Supplies. Quantity discounts on every purchase. Buy just 2 and save! The customer (you!) comes first.